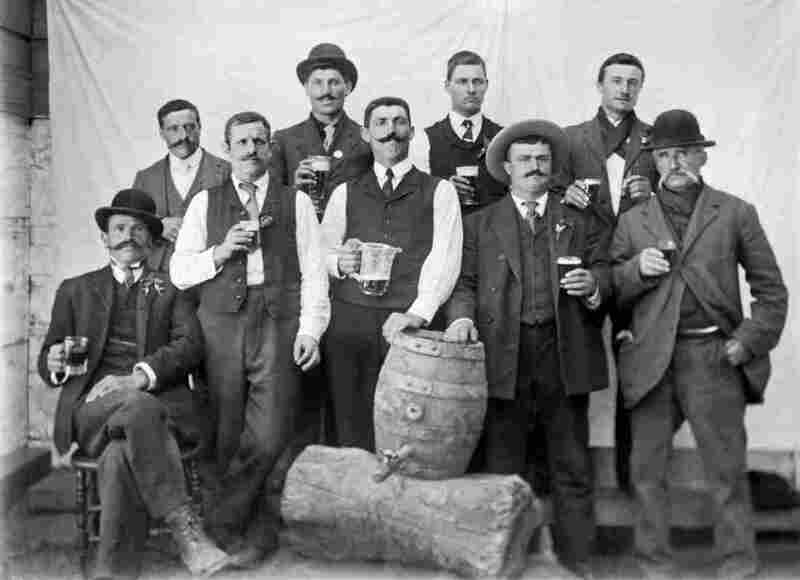 A group of men with full glasses proudly pose with their keg of beer, San Francisco, California, 1895. If you crack open a beer this Fourth of July, history might not be the first thing on your mind. But for Theresa McCulla, the first brewing historian at the Smithsonian’s National Museum of American History, the story of beer is the story of America. “If you want to talk about the history of immigration in America, or urbanization or the expansion of transportation networks, really any subject that you want to explore, you can talk about through beer,” McCulla says. Since taking the job earlier this year, she has combed through the Smithsonian’s archives and pulled out treasures that show beer’s part in American history — whether that has to do with advertising, technology, gender roles or even popular entertainment. Pointing to some sheet music in the collection for a song called “Budweiser Is a Friend of Mine,” she explains that the tune premiered on Broadway at the Ziegfeld Follies in 1907. You can’t truly tell the American story of beer, though, without talking about immigration. More than a million German immigrants came to the U.S. in the second half of the 1800s – and they were beer drinkers. “They brought new kinds of brewing yeast, they brought different kinds of brewing methods, and suddenly they produced this lager beer – a very light, crisp brew that became very popular with Americans,” McCulla says. Those immigrants transformed the kind of beer Americans drink and established a new industry in the process. The drink evolved from heavy, English-style ales to the cold, quaffable style that’s common today. 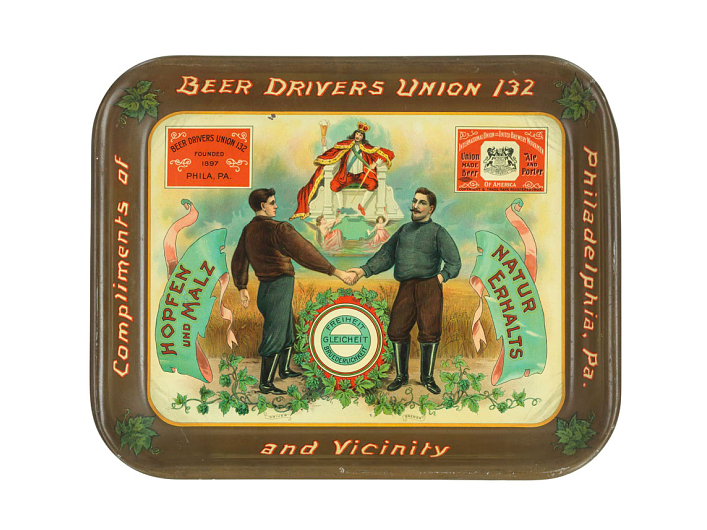 And instead of home brews, by 1900 many cities had entire neighborhoods full of breweries. McCulla says one of the most interesting aspects of the story of American beer is that it has come full circle: from the early days of home brews, to mass-produced beer, through the crash of Prohibition and back to a resurgence of microbreweries. Not far from the Smithsonian, this entire cycle is happening in one place. Outside the Portner Brewhouse in Alexandria, Va., a sign says: “Established 1869, Re-Established 2012.” The company was founded by Robert Portner, a German immigrant. At its peak, the company was the biggest employer in the city. More than 600 people worked for Portner, churning out more than 6 million bottles of beer every year. Portner’s company was forced to close during Prohibition in 1916. 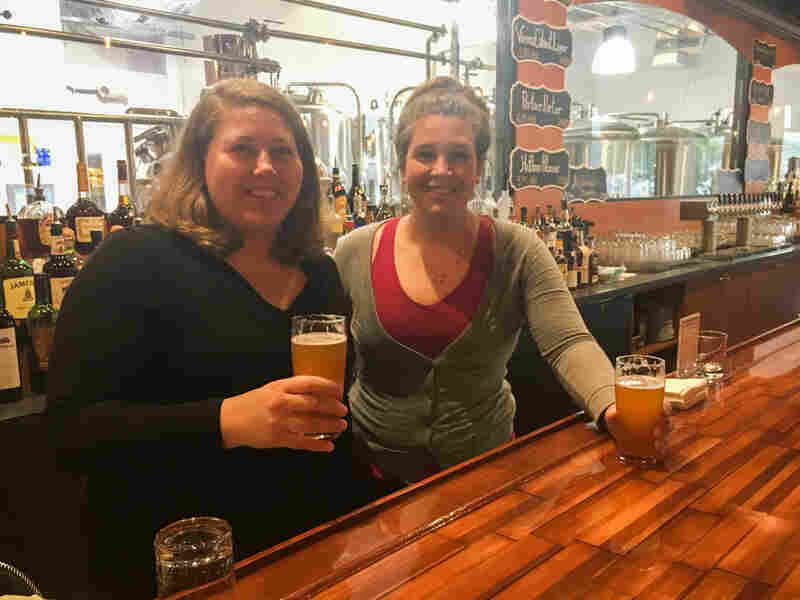 But a century later, sisters Catherine and Margaret Portner, two of his great-great granddaughters, reopened the brewery just a few miles from its original site. Some of the company’s early marketing materials are in the Smithsonian’s collection. The original advertisements note Robert Portner’s company as the original king of beers, says Catherine Portner — long before Budweiser began using that phrase. Sisters Catherine (left) and Margaret Portner have re-established Portner’s Brewery, which was opened in Alexandria, Va., in 1869 by their great-great grandfather, then closed during Prohibition. Historical artifacts line the walls of the Portner Brewhouse, and the kitchen serves up food with a German twist. And at the in-house brewery, the sisters have recreated some of the original Portner’s brews, based on the notes that Robert Portner wrote in German. But they’ve also made some innovations themselves. And, harkening back to the early days of home brewing, the company also has a “Craft Beer Test Kitchen Series,” which gives home brewers professional experience and feedback on their original recipes, which are brewed at Portner’s and then sold to thirsty customers. Catherine Portner pours a cloudy yellow beer from the tap. “This is the Hofbrau Pilsner that we have reconstructed from the Robert Portner brewing company,” she says. The Pilsner was one of the company’s flagship beers. It doesn’t look or taste like a glass full of American history, or technology or immigration – even though on some level, it is all of those things. It just tastes like a really good beer.